A while ago I wrote a blog post about the phenomenon of magnetic wristbands, of the kind often worn by athletes, golfers and people who just really like magnets. You can read the whole thing here if you like, but if you prefer I can sum up my findings as follows: “um… it might work. I’m not sure. Science leaves me feeling frightened and confused”. 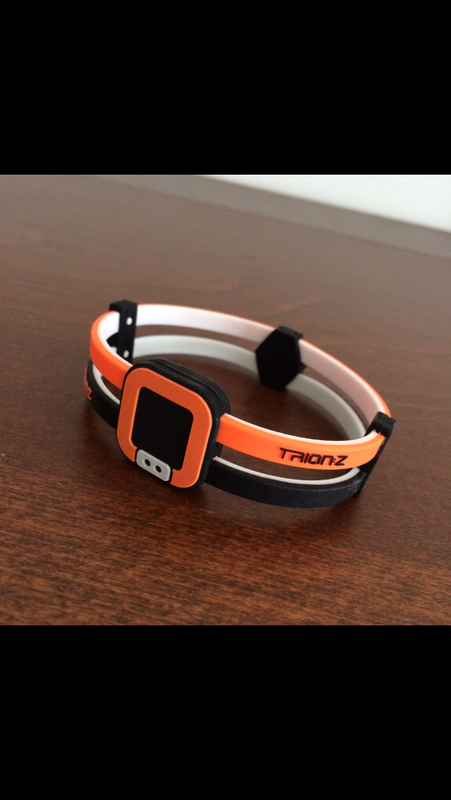 I used to wear a Trion:Z wristband (for the questionable reasons covered in the original blog post) until it finally fell apart after years of loyal service (during which it was put through some serious punishment, including being set on fire many, many times1). Amazingly, nothing terrible happened to me when I stopped wearing it. My legs didn’t fall off, my heart didn’t stop, and I retained my uncanny ability to run like someone being chased knee-deep through a marmalade swamp by hungry carnivorous wombles. 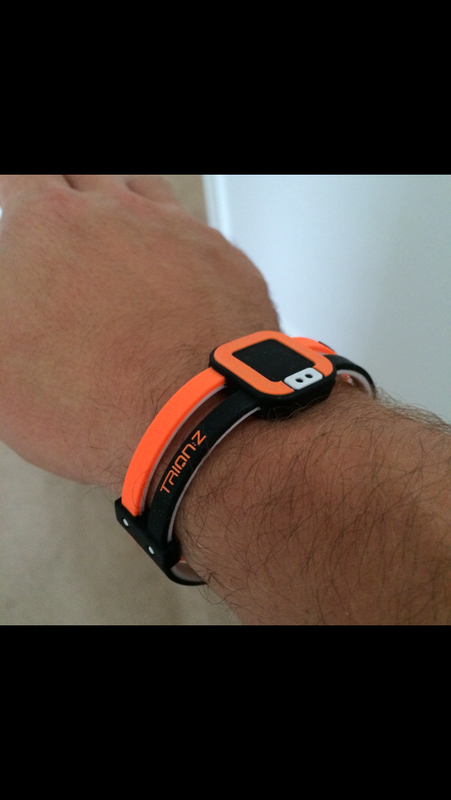 So the question is, when somebody at Trion:Z asked if I wanted to try their new Duoloop band, why did I say yes? If I’m honest, part of me secretly hoped that my old wristband had been faulty all along, and that as soon as I put on the new one everything would suddenly go a bit “He-Man” for me2. Sadly, that wasn’t the case. But I like it, for reasons I can’t quite put my finger on. One thing I’m very happy about is that the magnets aren’t too strong; I had visions of not being able to go for a run due to being stuck to the fridge for several days. You can read about the scientific claims behind these wristbands for yourself (here y’go), but one of the main benefits, according to the manufacturer, is that they counteract the positive ions in lactic acid, thereby boosting recovery. I very rarely experience DOMS (this is most likely because I don’t push myself hard enough, rather than anything to do with magic muscles), so I probably couldn’t tell you whether this is true or not. For a proper athlete, on the other hand, recovery is a much bigger deal, so I’d be interested to speak to band-wearers at the top of their game to see if they felt any benefit. Bottom line then is pretty much as before: I’m not convinced, but then again I’m probably not the best suited person to be testing one properly. One thing that surprises me is that they haven’t combined magnetic wristbands with identity wristbands. Given the success of Road ID and similar bands, I think it’d make sense to combine the two3. I’m sure that many of you lovely readers already wear these things, so I’d be really interested to hear your views on them. 1 Well, technically it’s me that kept getting set on fire, but I always happened to be wearing the wristband at the time. My job is quite interesting sometimes. 2 I’m referring to the bit where he waves his sword around and suddenly gets all strong and muscly. I’m not suggesting that I expected to get a pageboy haircut and become embroiled in the schemes of a camp skellington. 3 I nearly used the word “synergy” there, but caught myself just in time. Oops, knew I’d forgotten something. I have manflu, so my brian no properly work today. What?? No magical powers? Huff. I’ll buy one when they promise to take 3 minutes off your 5k PB. I fully accept that magical powers aren’t possible these days, but surely they could just stick a load of super-intelligent nanobots in them. Dang. I just received one as part of my race goods. I even fought for a red one. Sigh! I’m still on the fence. If it boosts recovery time then it can only be a good thing. I should really find the time to sit and look through the sciencey-wiencey stuff.